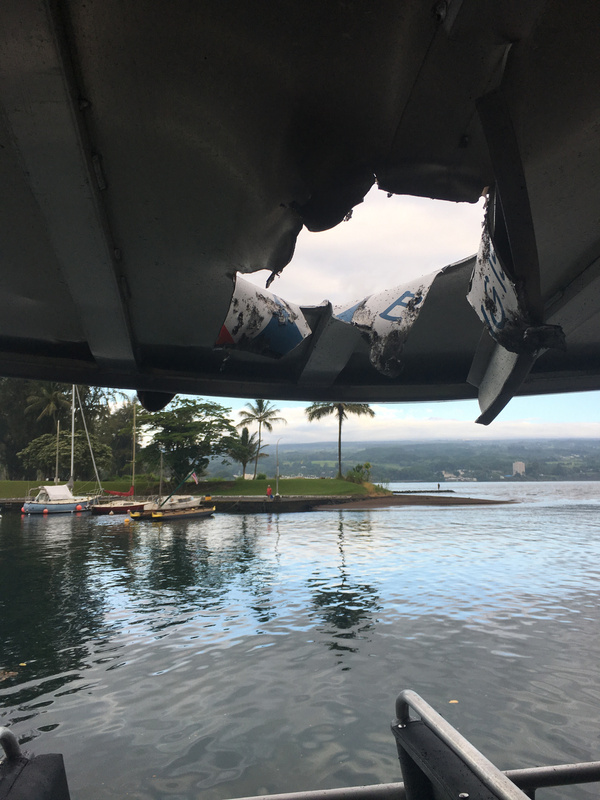 PUNA, Hawaii - The DLNR Division of Conservation and Resources Enforcement is investigating Monday morning's incident that impacted a lava boat tour. (BIVN) – A large explosion at the lava ocean entry that reportedly injured passengers on a lava boat tour is under investigation. 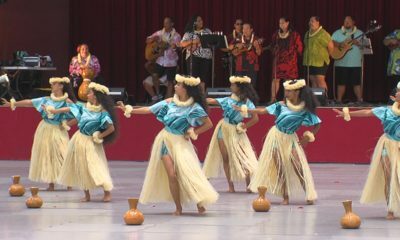 An image of Monday morning’s explosion was captured on video and shared to social media by Kalapana Cultural Tours, which was a safe distance away at the time and was not the tour company impacted by the explosion. 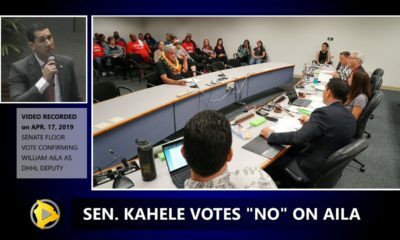 Only a few lava boat tours are permitted to offer trips to see the ocean entry, and the companies must adhere to Lava Entry Safety Zone regulations enforced by The U.S. Coast Guard. 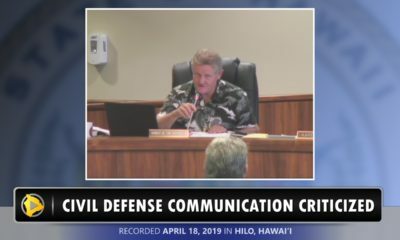 For mariners without prior limited entry approval, the safety zone encompasses all waters extending 300 meters (984 feet) in all directions around the entry of the lava flow into the ocean, USCG stated in May. 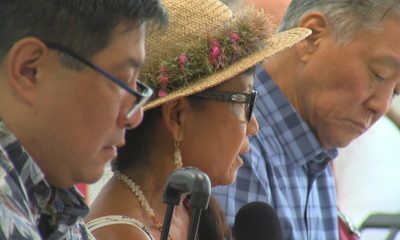 UPDATE: The U.S. Coast Guard issued a media release at 10:45 a.m., saying that a Coast Guard investigator from Sector Honolulu is en route to investigate the incident. “The safety zone currently stands at 300-meters (984 feet) with no exclusions,” the Coast Guard said. A USCG public affairs officer clarified that means no tour boat operators are allowed to get any closer, as of now. The U.S Coast Guard had just reduced the previous restriction for pre-approved mariners (as of July 12, 2018) from the previous 100 meters to 50 meters, allowing official boat tours to get closer. 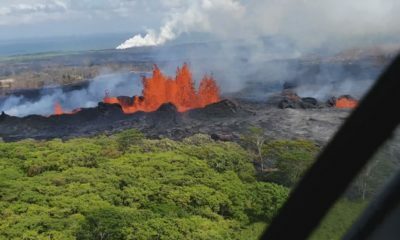 In response to increased lava activity in the area, the Coast Guard established a temporary safety zone March 2017. That zone was made permanent in May 2018 following a notice of proposed rulemaking. 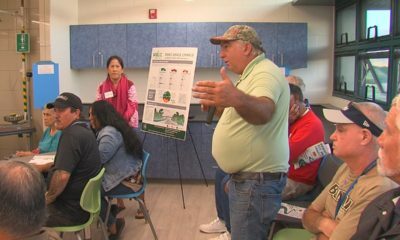 The zone was set with significant input and consultation from experts with the Hawaii Volcano Observatory, U.S. Geological Survey, National Oceanic and Atmospheric Administration and date from the University of Hawaii at Hilo Marine Science Department. The safety zone surrounds the lava flow and extends out 300-meters, although certain commercial and research vessels with licensed captains demonstrating experience operating in the region and carrying all required safety equipment were given special permission to approach up to 50 meters. Tour vessels are known to operate the area going back at least 20 years. Lava boat tour operators met with the U.S. Coast Guard to discuss the new rules on May 8, 2017.